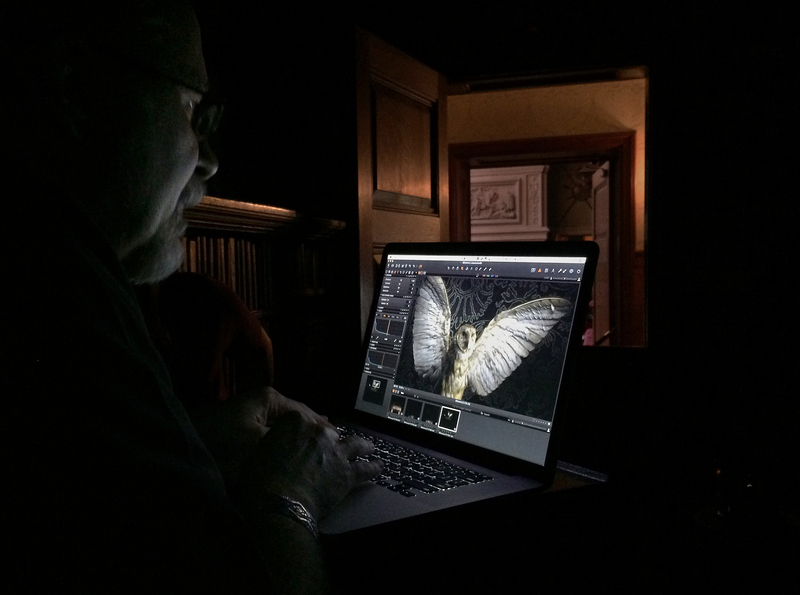 For the last four days, Vera and I have been at the Biltmore Estate in Asheville, N.C. with photographer Jim Ryan of Greenville, South Carolina. 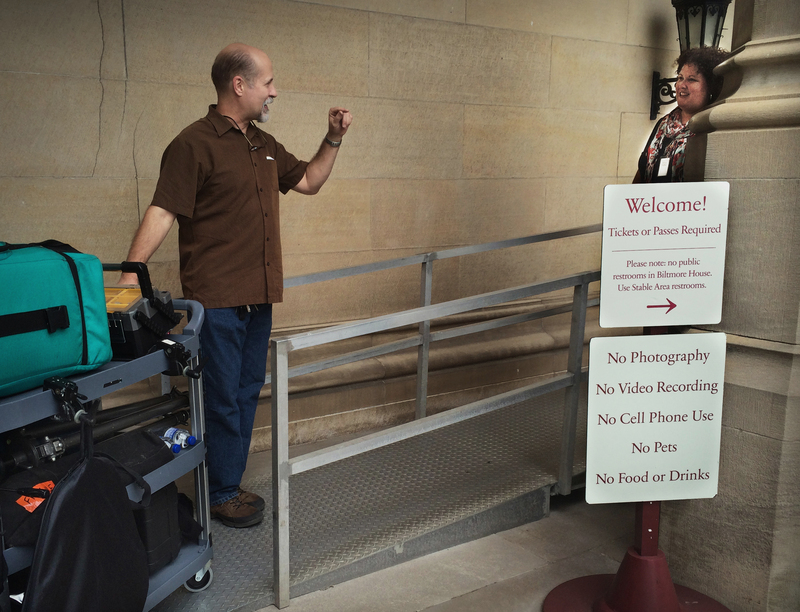 Jim was able to garner access for us to photograph “behind the scenes” at the Biltmore House (and this was no small feat, as photography in the house is strictly forbidden!) It was an exciting opportunity and Jim made sure that we had complete access to anything we wanted to photograph. This was in itself a challenge; the Biltmore is absolutely chock full of the most amazing things, all personally collected by George and Edith Vanderbilt: priceless hand-carved furniture, 16th century tapestries, a library with 10,000 volumes, 65 fireplaces (each more interesting than the next), original paintings by Renoir and John Singer Sargent, and on and on. It really is overwhelming, and Jim and I had the arduous (but happy!) task of deciding just exactly what we wanted to photograph. We were helped immensely by the staff at the Biltmore, in particular Laura Overbey, Collections Manager. The entire staff was there to help in whatever way they could, thanks to Jim setting everything up in advance. Since we just finished shooting Tuesday night (at midnight) I don’t have any final images to show yet, but below are some images of us entering the house, and a few snapshots. A huge thank you goes out to Jim Ryan for coming up with the concept of us light painting in the Biltmore, and then making it happen. Thank you, Jim! 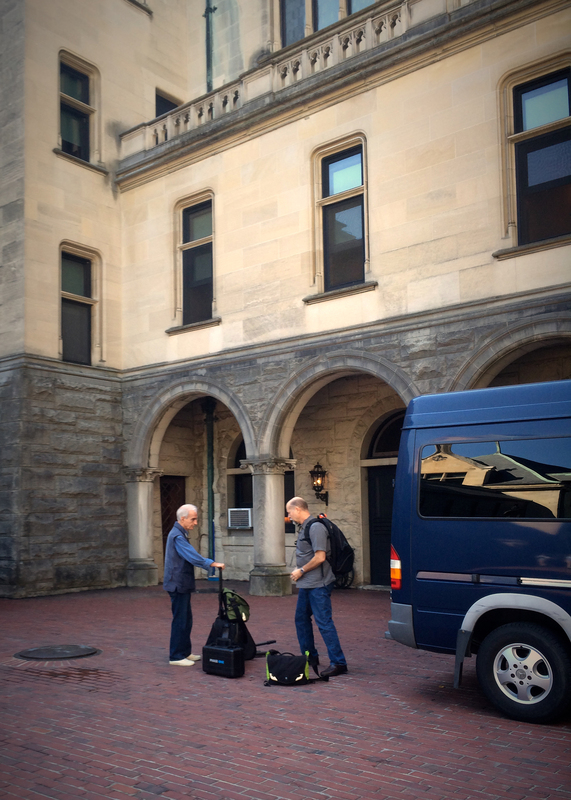 Jim Ryan and me unloading equipment from “Big Blue”, the light painting van. Me explaining to Collections Manager Laura Overbey just how small of an impact we will make. 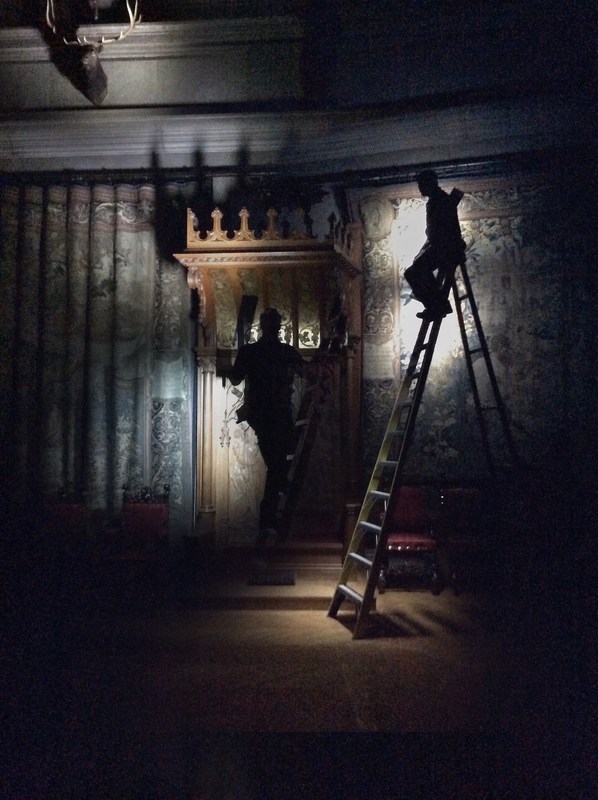 A multiple exposure of me light painting inside the Biltmore House. Viewing a capture just made in the Smoking Room. Over three days (and nights) of shooting, we made 12 photographs, so stay tuned as I produce these images of this most amazing estate, which has never been photographed in this way! I can’t wait to see them, and I hope you will enjoy them! ~ by Harold Ross on October 3, 2014. Wow! Can’t wait to see!! That’s great Harold. Can’t wait to see the results. What a great opportunity. Too cool for words so I’m really looking forward to seeing the images. 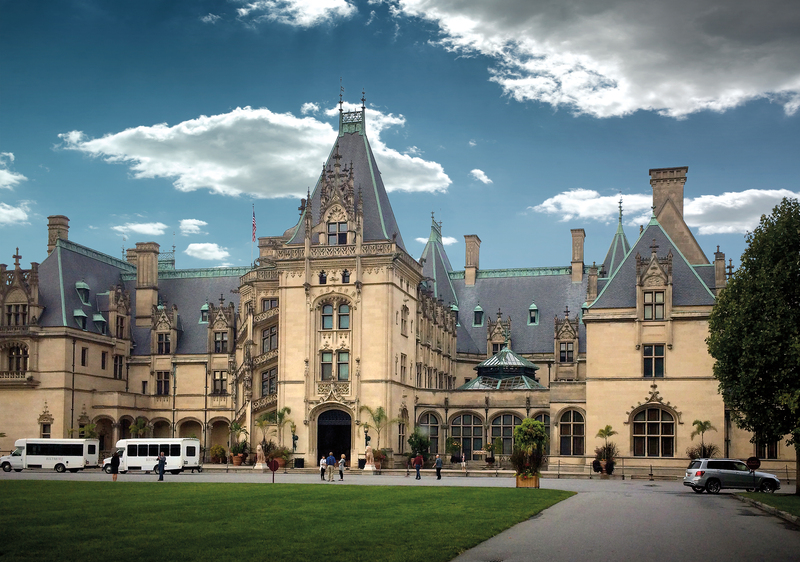 I’m very pleased that you had the opportunity to photograph all the treasures in The Biltmore Estate. Looking forward to see your work when ready. Say hello to your wife,and keep up the good job. Oh man! I can’t wait. I can’t wait to see your work. You are certainly a master craftsman of your art. The Biltmore is indeed fortunate to have you photographing it in such a unique way. What an exciting opportunity! I cannot wait to see the final products. I am looking forward to seeing your work. What a fantastic opportunity! Oh wow! I am so envious of this experience! Can’t wait to see the images. I’m sure they will be nothing short of phenomenal! What a golden opportunity! I can’t wait to see the results. Also, congratulations on your new gallery representation. Why Am I not surprised to find a photo of you high on a step ladder. When ever I think about you I remember the day I visited you over 10 years ago and of course you were hanging off a high step ladder. My mom absolutely loved the Biltmore and came back with hundreds of pictures when she toured the estate; so naturally I have a fondness for this grand estate myself. Your work is phenomenal and I cannot wait to see your creations. Thank you everyone! It was a wonderful experience. I am currently working on the images (between work) and should have them to show very soon! Thank you! The Biltmore pictures, for various reasons, are just now getting finished. I’ll be showing them soon!